App store analytics provider Distimo today published its latest report, once again zooming in on the pricing of mobile applications across a variety of platforms. We got an exclusive early look at the new report. According to Distimo, Google’s Android Market currently offers 134,342 free applications for download, while Apple’s App Store for iPhone offers 121,845 free applications. According to Distimo’s data, the App Store for iPhone remains the largest store in terms of all applications available, although it was among the slowest growing mobile applications stores in terms of relative growth in March 2011. The Apple App Store for iPad grew by 12 percent last month to 75,755 applications, of which 34,120 are designated for iPad only. 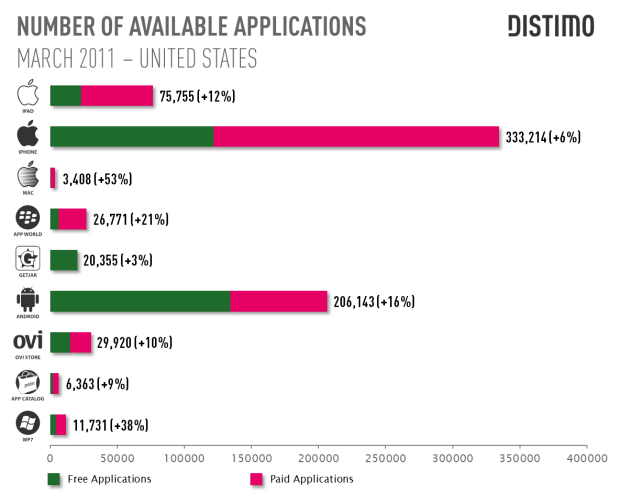 The total number of available iOS applications now equals – a whopping – 367,334. 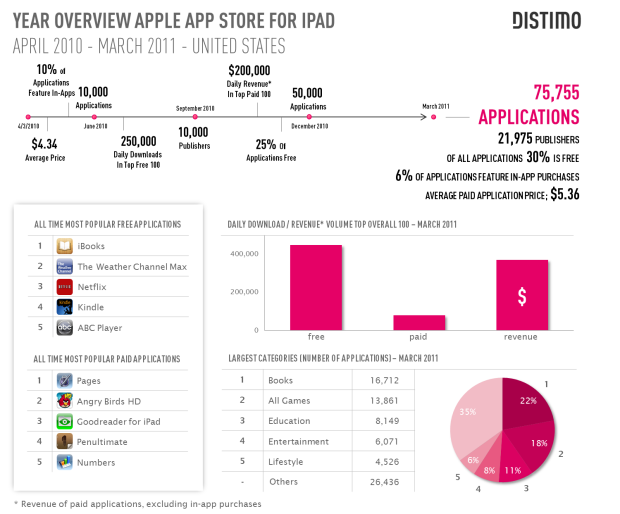 Distimo observes that applications for the iPad have become more expensive over time, while other application stores have trended in the opposite direction. 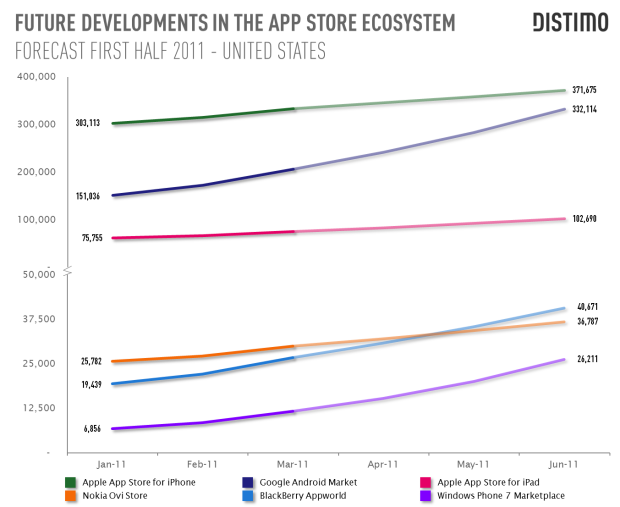 The proportion of applications featuring in-app purchases has apparently decreased over time as well. When that happens – not if – Android Market will trump the App Store for iPhone and iPad, Windows Phone 7 Marketplace, BlackBerry App World and Nokia Ovi Store in size (in that order).